The future of nuclear weapons might not be huge and mega destructive but smaller, tactical, and frighteningly, more common. The U.S. Air Force is investigating more options for “variable yield” bombs — nukes that can be dialed down to blow up an area as small as a neighborhood, or dialed up for a much larger punch. The Air Force currently has gravity bombs that either have or can be set to low yields: less than 20 kilotons. Such a bomb dropped in the center of Washington, D.C., wouldn’t even directly affect Georgetown or Foggy Bottom. But a Minuteman III missile tipped with a 300-kiloton warhead would destroy downtown Washington and cause third-degree burns into Virginia and Maryland. Throughout much the Cold War, the thinking in Washington and especially Moscow was that bigger yields was better: the more destruction, the more deterrence. This thinking drove the Soviet Union to build the most powerful bomb ever, the Tzar Bomba, whose 100,000 kilotons, detonated over DC, would burn Baltimore. What do Afghanistan’s border guards see as the main obstacles to securing the frontier? Muradi had been stationed in Herat Province when the Taliban attacked his post along the Afghanistan-Turkmenistan border. Four years ago, northern Afghanistan was considered a relatively peaceful area of the country. 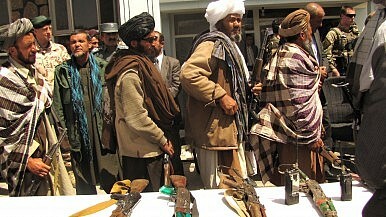 Now, the Taliban has a presence in all eight of the provinces bordering Central Asia. 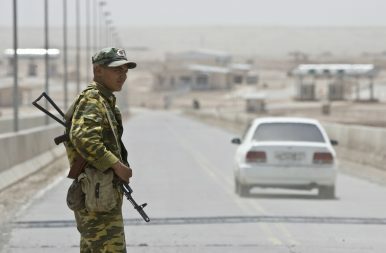 Many of the militants come from neighboring Turkmenistan, Uzbekistan, and Tajikistan. Muradi’s experience highlights the growing challenges facing border guards in Afghanistan. As the Taliban expands its territory to an extent not seen since 2001, the ABP, a branch of the Afghan National Army (ANA), is under renewed pressure to clamp down on cross-border drug trafficking and militant activity. Before the Belt and Road summit held at Beijing in mid-May 2017, several memoranda of understanding (MoU) were finalised between China and Pakistan. Significant among these was an agreement to construct an array of hydropower projects, to be referred to as the North Indus Cascade. 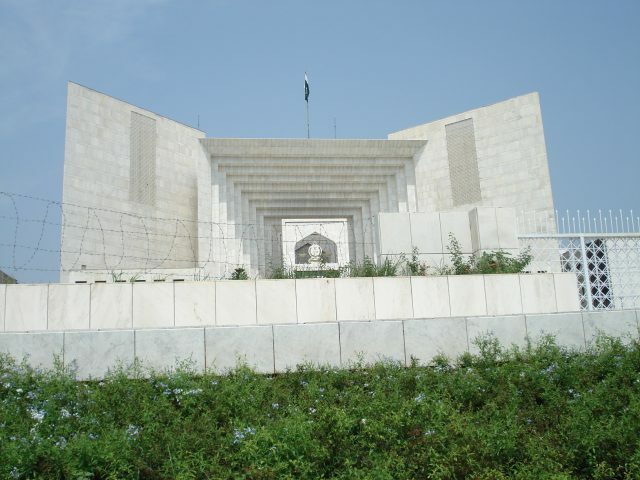 Consisting of five major hydropower projects including the much delayed and controversial Diamer Bhasha Dam (DBD), the Cascade will cut across Gilgit Baltistan, a part of Pakistan occupied Kashmir (PoK), as well as Pakistan’s Khyber Pakhtunkhwa province. Notably, China has committed a whopping USD 50 billion for this cluster of projects on the transboundary River Indus, with a projected cumulative hydropower generation capacity of over 22,000 MW. The MoU on these Indus projects was concluded between Yousuf Naseem Khokhar, Pakistan’s Secretary of Water and Power Development Authority (WAPDA), and China’s Ambassador to Pakistan, Sun Weidong, on the side-lines of a conference organised by China’s National Energy Administration (NEA) on May 13. Prime Minister Nawaz Sharif, who was in Beijing to attend the BRI summit, was present on the occasion. Citing the critical importance of water and food security for Pakistan, Sharif expressed unequivocal gratitude for China’s generosity and applauded the efforts made by Chinese agencies and representatives. He observed: “Development of the North Indus Cascade is a major focus of my government and the construction of the Diamer Bhasha Dam is the single most important initiative in this regard.”1 And he commended China’s NEA for organising a separate session on DBD in the course of which various presentations were made by different companies and their assessment of the multibillion dollar project was also laid out. India and China have a long and complex bilateral relationship that oscillates between concepts of “Chindia” and great power rivalry. In South Asia, India seems to be a regional power by default. But a closer look reveals that China is gaining an upper hand in the region. The analytical framework of the regional power debate helps to explain the different approaches between the two countries towards South Asia. Developments in the fields of politics, economics, and security indicate that India is at a structural disadvantage to China in the region. Despite its superior material resources relative to other South Asian states, India has never managed to establish itself as a regional power. Attempts by Nehru and Indira Gandhi to portray the region as part of India’s national security and to secure the country’s foreign political interests through military, economic, and political interventions were mostly unsuccessful. Several factors have always undermined India’s regional power ambitions. First, because of the common religious, linguistic, and ethnic ties, foreign policy debates in the neighboring countries are often linked with debates about national identity which emphasize the distinctions from India. Hence, Indian interventions in the neighboring countries have often been perceived as threats to their respective national identities. In Sri Lanka, Buddhist nationalist groups have always been critical of India, in Bangladesh, the debate on Bengali and Bangladeshi nationalism is closely related with India, and in Nepal there is a controversy in most parties on the relations with the bigger neighbor to the South. The common religious, ethnic, and linguistic traditions that seem to bind the region have also acted as a counterbalance against India’s regional ambitions. PLA In The Last 50 Years: Just How Strong Is The Dragon? What has been the PLA’s record in warfare since the 1962 conflict with India? China’s threat that India would suffer a fate worse than the defeat of 1962 is laughable. For the Chinese have conveniently forgotten that since that conflict nearly 50 years ago, it is Beijing that has suffered defeats – at the hands of India, Russia and Vietnam in that order. In fact, the last time the People’s Liberation Army (PLA) faced off against the Indian Army, it had to endure the ignominy of a humiliating climb down. But first, a reality check. The 1962 defeat happened because of two reasons. One, the Indian Army wasn’t given the weapons and divisions it had been wanting since the mid-1950s for the defence of the Himalayas. When the Chinese invaded, an entire Indian brigade (of at least 2,000 troops) was equipped with just 100 rounds of ammunition and no grenades. Prime minister Jawaharlal Nehru and his arrogant protégé, defence minister V K Krishna Menon, kept up the pretence that China would not attack. Second, India’s armed forces were not allowed to fight to their full potential. Ignoring India’s commanders, Nehru conferred with American ambassador John Kenneth Galbraith, who advised the prime minister not to use the Indian Air Force against the Chinese intruders. Before the war, the Nehru-Menon duopoly had ended the career of Korean War hero General Thimayya – who saw the Chinese as a threat to India early. They later promoted Lt General B M Kaul and General Pran Nath Thapar. These officers did not know where the border was. Despite numerical inferiority, the Indian Army may give the People's Liberation Army of China a bloody nose if Doklam standoff leads to war. The Doklam standoff between Indian Army and Chinese People's Liberation Army started in June. In July, a CAG (Comptroller and Auditor General) report, tabled in Parliament, said that the Indian Army does not have ammunition to fight a war for more than 10 days. And, now - in August - China's state media has said that Chinese PLA can "annihilate" Indian Army if war breaks out between the two nuclear-armed Asian neighbours. A Global Times - a hawkish Chinese government mouthpiece - article said, "If a war spreads, the PLA is perfectly capable of annihilating all Indian troops in the border region." The Global Times article described Indian Army as lying "far behind" in strength in comparison to PLA. It said, "It is a war with an obvious result, as PLA has made sufficient preparation for military confrontation. The government of Prime Minister Narendra Modishould be aware of the PLA's overwhelming firepower and logistics." The claim of the Chinese state media calls for a look at how the armies of India and China stack up. 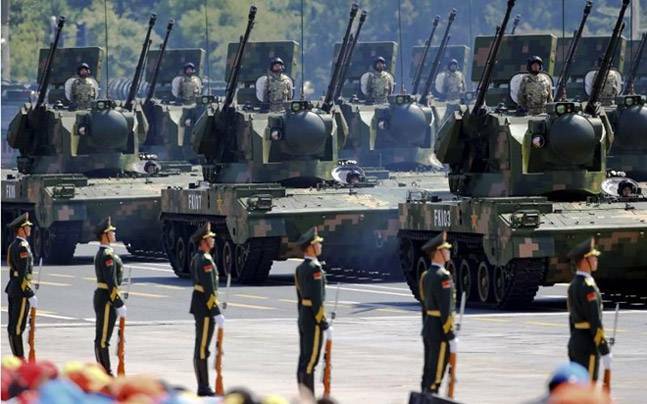 According to Global Firepower website - which tracks military strengths of more than 100 countries- India and China are ranked 4 and 3 among 133 military powers of the world. In just the past several weeks, China has sent troops to its first overseas base in Djibouti, intercepted a U.S. surveillance plane over the East China Sea, reinforced its border with North Korea, and declared it will not back down from a border dispute with India. Beyond that, its militarization of man-made islands in the South China Sea continues. The fact that China can simultaneously conduct all of these operations is the result of its ongoing military modernization programs and its expanding ability to project power globally. China’s new capabilities and their application towards its national goals of great power status and domestic security have serious implications for the United States and China’s neighbors, according to the Pentagon’s 2017 report on Chinese military power. Specifically, China is working towards comprehensive reforms that will expand maritime capabilities, joint operations among the service branches of the People’s Liberation Army, and new elite units. These capabilities are the results of decades of planning and reorganization within the PLA. The first modern reforms began after the end of the Cold War and the Gulf War. The former ushered in a period of global peace and prosperity that allowed China to grow wealthy and invest in its security, and the latter displayed the decisive power of advanced technology and information on the battlefield. In 2004, former Chinese President Hu Jintao ordered the PLA to focus on “winning local wars under informatized conditions”—a concept analogous to the U.S. military concept of network-centric warfare—the use of information and communications technologies to coordinate, accelerate, and improve military operations. This concept has influenced many of China’s decisions to reorganize its military and incorporate new capabilities into its forces. Was the Sino-Indian Border War of 1962 Inevitable? Two ancient nations emerged victorious from the shackles of dominance and established new states almost the same time: India in 1947 and People’s Republic of China in 1949. Despite their opposite political characters- Democratic and Communist respectively, the two rising Asian giants embarked on a journey of amicable relations and drove to reinvigorate their economies. Solidifying the ‘Hindi Chini bhai-bhai’ euphoria, they signed the ‘Panchsheel Agreement’ based on mutual-liking and harmonious co-existence. However, they were soon engulfed in the prism of mistrust and suspicion due to the problem of ‘unresolved border’ issues and the Tibetan Equation. History falls under the realms of highly contested narratives and the Sino-Indian border war is no exception. This essay argues that the 1962 war amid India and China was inevitable due to diplomatic breakdown between the two countries owing to the perceptions formed by the political and intelligence leadership of India and China on the territorial dispute, the Tibetan uprising and India’s Forward Policy. Diplomacy plays a crucial role where conflict is foreseen. The ties dwindled from cooperation to conflict, intensifying into war because negotiations couldn’t deter the escalation of the conflict. Both the nations failed to use a peacekeeping tool, i.e. skillful dialogue to build confidence measures, thereby worsening the gravity of the predicament. 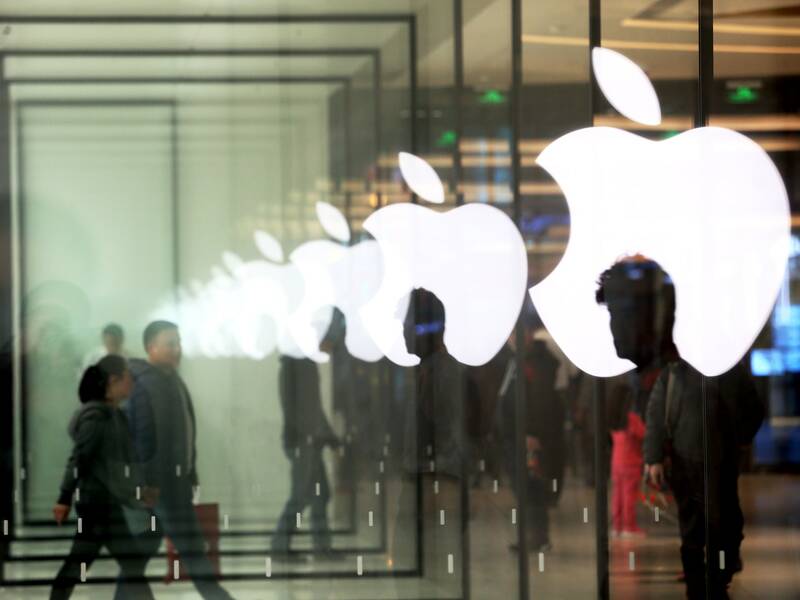 Apple recently removed some of the virtual private networks from the App Store in China, making it harder for users there to get around internet censorship. Amazon has capitulated to China's censors as well; The New York Timesreported this week that the company's China cloud service instructed local customers to stop using software to circumvent that country's censorship apparatus. While caving to China's demands prompts a vocal backlash, for anyone who follows US tech companies in China it was anything but surprising. Apple and Amazon have simply joined the ranks of companies that abandon so-called Western values in order to access the huge Chinese market. Doing business in China requires playing by Chinese rules, and American tech companies have a long history of complying with Chinese censorship. Every time a new compromise comes to light, indignation briefly flares up in the press and on social media. Then, it’s back to business as usual. This isn’t even the first time Apple has complied with Chinese censors. Earlier this year, the company removedNew York Times apps from its Chinese store, following a request from Chinese authorities. "We would obviously rather not remove apps, but like we do in other countries we follow the law wherever do we business," Apple CEO Tim Cook said during Tuesday's earnings call, in response to the vanished VPN apps. The numbers are important: a few thousand. The description as well: “rag-tag,” that is, motley, disorganized, crude. In its glory period in 2014-15, ISIS seized Mosul along with all the U.S. military equipment there, including heavy weapons, as well as millions of dollars from the city’s central bank. Today the so-called Islamic State is losing all over Iraq and, even if more slowly, in Syria as well. It’s a good time to think about how accurately ISIS was understood. The numbers: How many fighters total does Islamic State still have in the field? Are local groupings still in contact with each other, or is ISIS fatally fragmented? In our tech-obsessed world, many tend to believe that military superiority is largely the product of superior military technology: The more advanced a country’s missile force, the more likely it is to prevail in a military confrontation in the 21st century. While this is certainly correct up to a point, we often tend to neglect a more mundane and less exciting component of guaranteeing a military force’s superiority over an adversary: military drills. Today, we take intense close-order and extended-order (combat) drills in militaries across the world for granted. However, military drilling has been a relatively modern invention. First introduced by the ancient Romans in training their legionnaires, it was largely forgotten until the 16th century when it was rediscovered by Maurice of Nassau, Prince of Orange (1567-1625) who laid the foundations for modern routines of army drills. 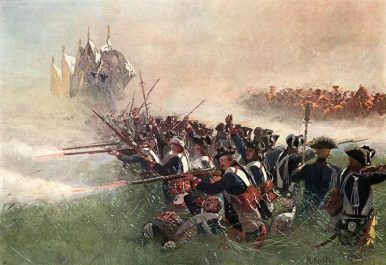 Trying to beat the Spanish Empire in the Low Countries, Maurice introduced systematic drills on the basis of Roman precedents, endlessly forcing his soldiers to load and fire their matchlock muskets (42 separate, successive moves) in unison. Maurice also regularized marching, enabling his soldiers to maintain close-order formation even on the move. By keeping in step, his soldiers were able to advance simultaneously with every man ready to fire at the same time. Israel’s challenges in Gaza are compounded by two additional factors. While Israel, the United States, and others regard Hamas as a terrorist organization, it governs Gaza as a pseudo state — making Hamas a classic hybrid actor with capabilities beyond those of many other terrorist groups. Moreover, Gaza is also one of the most densely populated areas in the world, forcing Israel Defense Force (IDF) to operate against an adversary that is embedded within a civilian population. Except you’re not really there, nor is there any real danger. Instead, you’re standing in the barracks, and all the events that sent your pulse racing are happening in virtual reality. But this is no video game: It’s the Marine Tactical Decision Kit, an augmented reality system designed to put infantry Marines through the rigors of battle without ever leaving their barracks. On July 21, the Office of Naval Research put the new MTDK system on display at the Naval Future Force Science and Technology Expo at the Walter E. Washington National Convention Center in Washington, D.C., and Task & Purpose was lucky enough to try it out personally. As I put on the headset, I was immediately immersed in a different world, traveling from the heart of D.C. to Camp Lejeune in North Carolina in the blink of an eye. By spinning around, I was able to see the entire base from a near bird’s-eye view — 360 degrees of it, from the grass underfoot to clouds in the sky. When I moved, the landscape shifted with me, allowing me to fully explore the grounds of the base in intricate, three-dimensional detail. It felt real. One of the most pressing issues of mankind remains the issue of nuclear weapons and weapons of mass destruction. They remain on the fringes of our awareness, researched by academics and portrayed in films and television shows at plot catalysts (sometimes with debatable accuracy of their portrayal). Unfortunately, these weapons are often sought by states as “the ultimate weapon,” believed to be the best instrument of deterrence. Israel is no exception, and its nuclear policy presents a compelling case of a nuclear-armed state. This policy contradicts the very foundations of deterrence theory; it is distinctive for its secrecy and ambiguity, very unique characteristics when compared to nuclear policies of other nuclear powers. It has not changed for several decades, and its effectiveness and adequacy for present conditions is thus, after the emergence of Iranian nuclear ambitions, often subject of debates. Israel belongs to the group of the so-called de facto nuclear states, a group which also includes India and Pakistan; these countries built their own nuclear arsenal outside the framework of Treaty on the Nonproliferation of Nuclear Weapons. Because Israel is not a signing party of the treaty, there is no legal obligation for Israeli nuclear facilities to be subject to regular inspections by the International Atomic Energy Agency. In the case of Israel, these inspections are voluntary and only conducted in declared facilities. The program as a whole is not overseen by the international community, and there is no official way to get information about it. The majority of available information is thus based on expert estimates, in some cases open source information (such as satellite images), or even information leaks, such as the 1986 leak in which Mordechai Vanunu, a technician at the Dimona nuclear facility, published details and photographs about the situation in the facility and disclosed a considerable amount of information about Israel’s nuclear programme. Availability of information is thwarted not just by secrecy, however, but also by censorship. Israeli authors are required to submit any publication dealing with issues of security to the censor, who is charged with assessing the degree of ambiguity of the text in terms of government’s requirements. The most nightmarish of World War II alternative history scenarios is the one in which Nazi Germany acquires atomic weapons. In fact, by the spring of 1945, when America’s massive nuclear program was reaching its culmination, the Nazi atomic program consisted of one experimental reactor in a cave in southern Germany, operated by scientists who lacked a clear conception of how to build an atomic weapon. Even if the German scientists had known what they were doing, they still lacked suitable radioactive material to produce a weapon. One of World War II’s most remarkable and controversial stories is just how the Nazi atomic program came to this sorry pass. The potential power of atomic energy is a corollary of Einstein’s famous Theory of Relativity equation, E = MC2. Simply put, the equation means that all matter is energy. To determine the energy contained in any bit of matter, one need only multiply its mass times the square of the speed of light. As the speed of light is somewhere in excess of 186,000 miles per second, the resulting number is correspondingly huge. Early in the 20th century, physicists realized that if it was possible to release the atomic energy in a piece of matter, say a brick, they could create a doomsday weapon. Fortunately, the atoms in bricks, and in almost all ordinary matter, are quite stable and not likely to erupt in an atomic chain reaction. However, by the mid-1930s, experiments with the unstable element uranium revealed the potential to tap into its store of nuclear energy and create machines of awesome power. For anything to change for the better inside the army, Trump must do what the British did not do: decide what’s most important. President Trump understands that American society is above all the idea it forms of itself. Trump’s grasp of this truth explains his determination to nurture America’s competitive national spirit, and expunge the self-loathing of the last decade. However, restoring American military power will take more than expressions of confidence in America’s military. President Trump must make important strategic choices and make them soon. Christopher Nolan’s stunning new movie, Dunkirk, is a cautionary tale. The movie’s theme is one of hope and courage, but the more important meaning of Britain’s strategic defeat in 1940 is lost: The British waited too long to make the hard strategic choices. Two weeks and two days after the German offensive began more than 350,000 British and French troops (not all fighting men) had abandoned their equipment and waited for evacuation to England. In London, the myth that the British Expeditionary Force’s (BEF) defeat on the continent was due to Germany’s superiority of numbers spread quickly. It was a lie. The adoption of new technology and new work practices poses particular challenges to both business and policy makers. What are the key priorities they should look to address? While automation has the potential to increase the productivity of the global economy and supercharge the performance of companies which successfully adopt the technologies, the policy implications are complex. Foremost among them: How will economies and companies be able to leverage the new technologies and help workers adapt to the changing workplace? What about those who are most affected by automation? In this video, one in a four-part series, experts from academia and industry join McKinsey partners in a discussion of key issues about the policy implications of automation. The interviews were filmed in April at the Digital Future of Work Summit in New York, which was hosted by the McKinsey Global Institute (MGI) and New York University’s Stern School of Business. Interviewees include Tom Siebel, founder, chairman, and CEO of C3 IoT; Anne-Marie Slaughter, president and CEO of New America; Jeff Wald, cofounder and president of WorkMarket; Saadia Zahidi, head of education, gender, and work at the World Economic Forum; Diana Farrell, founding president and CEO of the JP Morgan Chase Institute; McKinsey senior partner Katy George; MGI chairman and director James Manyika, and MGI partner Michael Chui. While the FCC and TRAI chairmen may share similar goals, India’s telecom regulator should pick and choose what it wants to take away from the US debate. In May, the FCC voted to advance Pai’s proposal to repeal the commission’s 2015 net neutrality regulations, beginning the long process of undoing the rules. The decision to repeal is facing a fierce pushback from the US public and net neutrality activists. If approved by the FCC later this year, it is likely to be challenged in court. Closer home, India’s telecom regulator, TRAI, seems keen on moving forward, building on its February 2016 regulations – with open house discussions on net neutrality held in Mumbai and Bengaluru in the last few months. Last year, the Indian regulator prohibited service providers from discriminating on the basis of content. The regulation banned providers from giving free access to select content, effectively disallowing ‘zero rated’ services. The regulator, with the release of a comprehensive consultation paper in 2017, is now making headway in the net neutrality debate – exploring how to define core principles, regulate traffic management practices and monitor for violations. On the other hand, FCC earlier this year decided to stop investigating into zero rating practices altogether. The threats we face in the cyber realm are greater than ever before. Our enemies grow bolder and more capable, but the Department of Homeland Security (DHS) is dithering at a time when the agency should be leading in this critical area. Cyber issues have gone political. One only has to read the headlines to recognize that. As important as that part of the field is, it cannot be allowed to hold back improvements in America’s actual cyber defenses. As the cyber threats have grown (from nation-states, terrorists, and cyber activists), America has responded with an ad hoc patchwork of defenses. No one believes that what we now have is sufficient. DHS is responsible for defending the “.gov” domain of the Internet. This covers the entire Federal government structure except for the military and intelligence community, as well as many local and state government entities. It is a huge task. Over the years, DHS built up the National Cybersecurity Protection System (NCPS), but done so in a piecemeal fashion. It has been a noble effort, but faced with present threats, it fails pretty regularly. That is unacceptable. Concern over the risk of cyber attack led Russia in 1998 to propose at the United Nations a treaty to limit the use of cyber attack and cyber weapons. The Russian proposal drew on the experience of arms control and disarmament, but it found little support and was opposed by the United States. During the same period, there were also various proposals from the academic community for some sort of formal international cybersecurity convention, but many of these proposals were impractical and they too garnered little support. Agreement on a binding treaty or convention was politically impossible, given the high levels of distrust among major states, but an alternative approach seemed more promising. Research on an approach that used nonbinding norms and confidence-building measures (CBMs), leading eventually to an environment in which formal agreement would be possible, created a credible alternative to a treaty. The norms-based approach drew on the experience in nonproliferation regimes, such as the Missile Technology Control Regime, and on CBM precedents from the Treaty on Conventional Forces in Europe and similar political-military arrangements developed during the Cold War.